Spin Palace Casino 2018 - NZ$1000 Welcome Bonus! Spin Palace Casino is one of the leading online casino websites with one of the most diverse and largest gaming portfolios in the New Zealand betting niche. Bettors can choose from different casino games including pokies, poker, roulette and blackjack. With a very strong focus on community, credibility, technology and the knack for perfecting the bettor experience, Spin Palace Casino New Zealand caters to the diversified New Zealand casino audience ranging between the ages of 21 – 40, and especially those who view themselves pokies enthusiasts, social, casual or pro bettors. You can pick from a wide array of classic and new games, with each one of them powered by state of the art software, which is provided by top software companies including Microgaming, NetEnt and Betsoft. Spin Palace Casino was founded in 2001 by an accomplished team with years of betting and gambling industry knowledge. The casino’s day to day operations and activities are run by Bayton Ltd, a subsidiary of CityViews Group. These companies are licensed to offer the Kiwis a safe and secure gaming experience by the Kahnawake Gaming Commission and Malta Gaming Authority. Claim the welcome package offered by Spin Palace Casino and play for free on your first three deposits. The Welcme Bonus of Spin Palace Casino is $1000. Sign up, make your first deposit, and get it doubled with a juicy 100% bonus up to NZ$250. On your 3rd deposit, you’ll receive a massive 50% match deposit bonus up to NZ$450. In total, you shall have earned yourself up to $1,000 in free money that you can redeem once you’ve met the wagering requirement of 50×. It’s also worth noting that different casino games contribute differently towards the wagering requirement. You have to make a minimum deposit of NZ$20 to qualify for the welcome bonus offer. As already mentioned, the site has a high wagering requirement of 50× the bonus money. While the NZ$1,000 bonus money offered by Spin Palace might be one of the best deals around, casual and social players might find the wagering requirement too high and unrealistic. However, if you are a high roller, this is the best opportunity for you to claim the bonus you’ve been dreaming of. With one of the most diverse and largest gaming portfolios in the New Zealand online casino industry, Spin Palace Casino offers you an all-inclusive and New Zealand friendly gambling experience. For tried and tested fairness, superior sound, unrivalled visuals and animations, the casino has partnered with some of the industry’s most acclaimed software developers and providers to deliver authentic games. Online Pokies that Thrill: Become part of the Spin Palace community and choose from over 400 exciting pokies with different themes. Choose popular progressive pokies such as Mega Moolah and stand a chance of winning the ever-growing jackpot. If you fancy NetEnt pokies, the site offers their blockbuster titles including Starburst and Gonzo’s Quest. Break Da Bank, Hitman, Hellboy, and Lara Croft’s Tomb Raider are all waiting for you. All the best table and card games: Spin Palace not only offers New Zealand players an incredible range of pokies but it has also diversified its game portfolio to include a range of poker, roulette and blackjack games. This ensures that every player can choose a game that one is familiar with and is comfortable playing. Exciting casino games: Is live casino your thing? 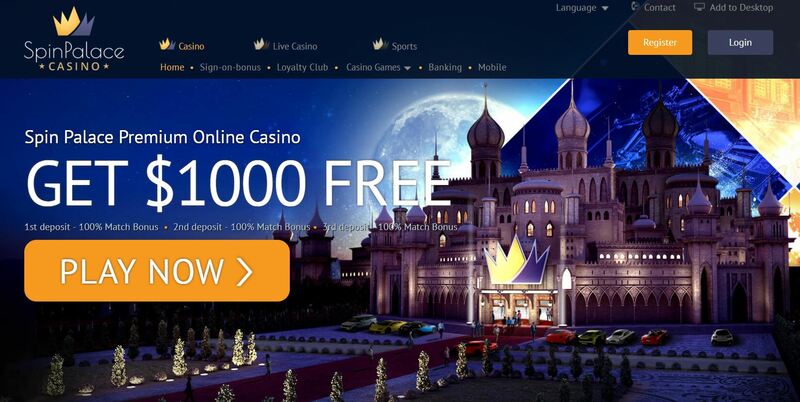 Are you looking for an online casino offering the ‘real’ deal? Scroll on over to Spin Palace’s live casino games and place a bet on any of your favourite game. Chat, play and win in real time with the experienced, knowledgeable and professional dealers at the site’s state of the art live casino tables. 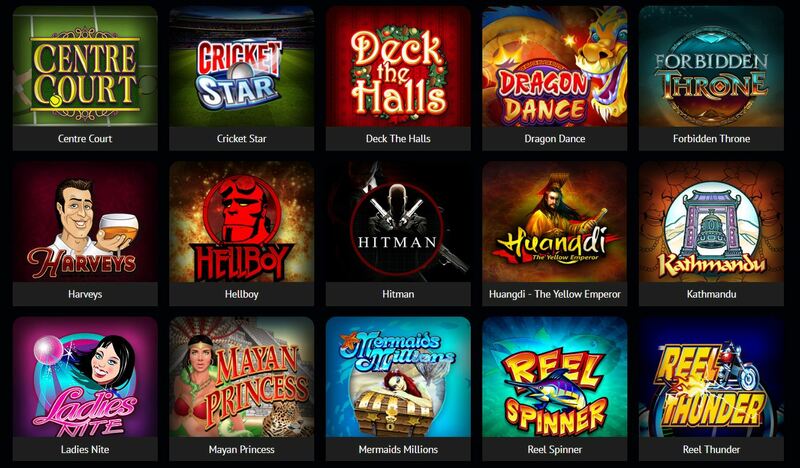 New Zealand casino players can now play their favourite game and access all the services offered at the site on the go! All the games offered at the site are mobile friendly so you can effortlessly place your bets and play your favourite game to win anytime, anyplace on your mobile device. To play Spin Palace’s instant games on your smartphone, all you have to do is log onto the website using your smartphone or tablet through popular browsers including Google Chrome, Mozilla Firefox or Safari Browser for those using iOS devices. Spin Palace’s mobile app: You can as well download and install the mobile application on your smartphone and enjoy all the mobile optimised games. Deposit, contact the customer care team or enjoy the live dealer casino games through the Spin Palace’s mobile application. **The mobile app is strictly limited to Android and iOS users. To download the Spin Palace app, all you have to do is tap on the ‘Play on Android’ button, and the application will automatically download and install on your mobile device. The site has a wide variety of payment options that you can choose from. These options are secure and easy to use, with some specifically tailored for New Zealand players. Deposit methods include credit and debit cards such as EZIPay, Paysafecard, Ukash, VISA and MasterCard. It also features New Zealand friendly eWallet payment options such as Neteller, Skrill, EcoCard, ClickandBuy, Citadel, Instadebit, Entropay, PayPal and POLi. All these methods can be used to make instant deposits to your account. Make speedy, safe and secure payment options through all the above methods except Ukash, POLi, and Paysafecard. All transactions are processed within 24 – 48 hours after making a withdrawal request, with Skrill and Neteller having the fastest processing time of less than 24 hours. **To safeguard your privacy and ensure that you are getting safe and secure services, Spin Palace Casino may ask you to provide any of the following documents as proof of identity when withdrawing your winnings. Spin Palace Casino established its name as one of UK’s top rated casino but has since spread it wings to countries such as Canada, Australia and New Zealand, where it has also managed to get a better share of the market. Is there anything we didn’t like about Spin Palace other than the high wagering requirement and lack of a New Zealand mobile phone number, which can be used to contact the customer support team? Whether it’s mobile friendly games, different banking options or a friendly and experienced customer support team, Spin Palace Casino has you covered!